Most nights the porch light is on till two or three a.m. while one of my sons goes about photographing interesting sights and lights and shadows. So, naturally, I do a dose of worry/prayer to keep him safe. Most nights I read for several hours by the light of my I-Pad. I read and think. Think about all sorts of people and situations since my childhood, little bits of this and that, faces, personalities and events. Mini-reviews of my life. And I pray for them as their faces pop up in the video that runs in my head each night. Gratitude might be the key here. ‘Gratitude, the Heart of Prayer’, a title of a book and good advice. (That and the ‘Spirituality of Imperfection’ are among my favorite titles in my bookshelf). Of course, I know there is much that is not good. The doctrine of Original Sin covers some of that: we are good with a propensity for sin. I used to teach Baptism prep classes and at the time the trend was to emphasize community and welcoming and to shy away from the bummer that is the doctrine of Original Sin. One woman, a grandmother I believe, got up and left the class when she asked about when we were getting to that. I explained that we emphasize the welcoming aspect of Baptism. The one-with-community aspect, joining in our imperfect communion of saints. We were leaving the whole Original Sin thing like an embarrassment in the corner. I often think of that woman being annoyed with my noveau approach to teaching baptism. I imagine she was raised in the St Augustine school of thought, as I was, that emphasized our need for grace to strengthen us against the real and present danger of sin and here I was telling the folks to baptize their babies because it is good to join in the community. It is good to join in the community. It is good to not be alone against the evils offered by the world to ruin our souls. It is good to be washed clean of Original Sin, a doctrine that fell out of favor in the do what you will and its all groovy craze that took hold in the last half of the twentieth century. But there’s that grandma leaving my come on in the water’s great class to search for someone who could deal with sin. Because there is darkness and evil and yes, sin. You’d have to be very young or very naïve to think otherwise. And I'm pretty sure that with every act of sin, the world gets a little dimmer, a little darker: veils layered between the sun and us. But, wait. That is not what we hope, that is not what we place our faith in. So, while most of us are feeling virtuous or massaging our own neuroses, there are people in the world who are keeping the lights on for the rest of us. Pray-ers. That’s their job description. Monks and nuns in monasteries. Parents teaching their children the Our Father; parents staying up nights reciting the rosary or whatever prayers they learned in their youth to get their children home safely. Aunt Jule with her list of people she prayed for each night dating back to the 1890’s. People of all descriptions poking holes in the veil. And, boy do we have our work cut out. This is how I picture it: with all the prayers against the darkness offered up by pray-ers, those layers separating us from the light are peeled back, worn away. But the darkness is unrelenting, you might say. Yes it is. But it is our jobs, amateurs and professionals, to keep the lights on. 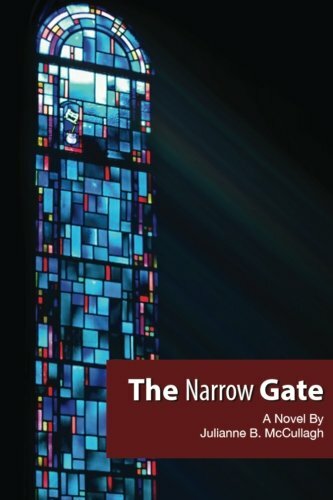 PS: I've been away so long from this site because I was finishing up work on my novel, The Narrow Gate. Now, my quest is to find an agent and a publisher, so if you have a minute, could you pray that I find one? Thanks. Please visit http://nojobforsissies.blogspot.com/2012/07/wordcraft-to-bear-witness.html Melissa Embry's blog. 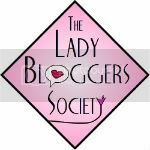 I am a guest blogger on her post as of last week.